You'll be £19.99 closer to your next £10.00 credit when you purchase Mercenaries in the Classical World. What's this? Mercenaries were a significant factor in many of the wars of the Classical world, being employed in large numbers by several states. By far the most famous were Xenophon’s ‘Ten Thousand’, who had to cut their way out of the Persian Empire after the death of their employer and such Greek infantry were for long the most dominant type (even a Spartan king hiring himself out in one case), but there was a wide variety of mercenaries available. Some, such as Celts and Thracians were hired largely for their love of fighting, while others were valued for their specialist skills, such as Cretan archers or slingers from Rhodes or the Balearic Islands. 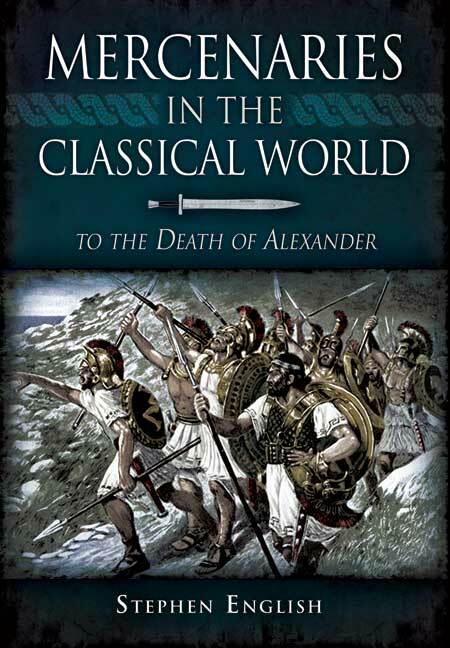 Stephen English examines the role of the mercenaries and their influence on the wars of the period down to the death of Alexander the Great, who employed them and why. He also looks at the social and economic pressures that drove tens of thousands to make a living of fighting for the highest bidder, despite the intense dangers of the ancient battlefield. Mercenaries do not enjoy a popular press, but they have always been with us (even today) and they were employed widely in the classical world. The questions of how they fought, what they fought with, who they fought for, what effect they had on the battlefield and what social causes made them put up their lives for hire are answered in masterly fashion by English, who really knows his stuff. Dr Stephen English was recently awarded his PhD for his thesis on the military career of Alexander the Great. His first book, The Army of Alexander the Great, was published by Pen & Sword in 2009. He lives in County Durham.